OK, Now You Sue Me! With grateful thanks to ANode – and to the others who submitted designs. I repeat, that the producers of The Ambassadors, Big Tal, contacted me about acquiring the rights to Murder in Samarkand and hled a meeting with me in their office to discuss it at length. They did not get the rights. 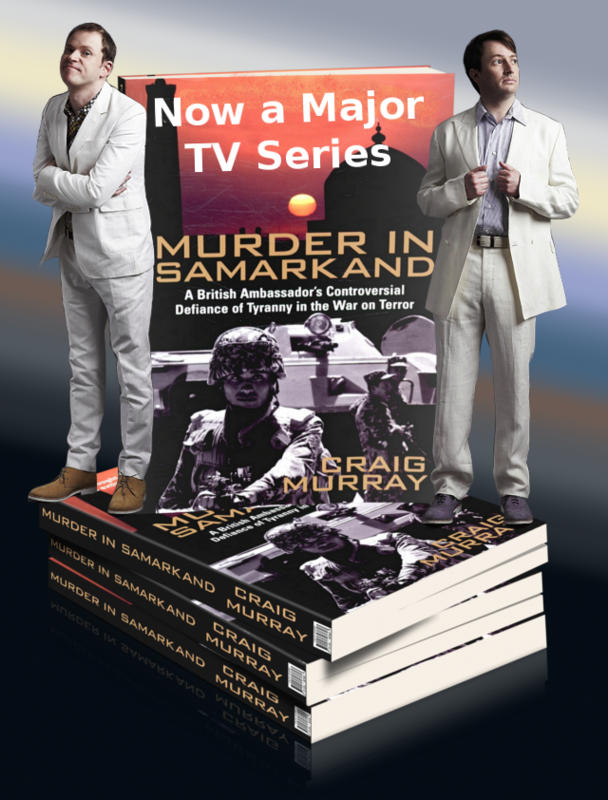 The concept of The Ambassadors, the series Big Talk subsequently produced, is very plainly based on Murder in Samarkand. Big Talk are copyright thieves. That is without the issue of making a state-sponsored satire with FCO approval and participation designed to justify and make light of our disgraceful collusion with the vicious Karimov regime. This is the next step highlighted in our letter of 6 March 2013. This is an application to the court to order Big Talk to disclose certain information to you, namely, the treatment and the scripts. This information would then enable us to understand if their show will infringe your book (or defame you). The likely costs of proceeding with the application will depend somewhat on how the other side approach it, but at a minimum we will need to prepare a witness statement setting out the evidence to support your application, pay the court fee to issue the application, correspond with the other side and prepare for documents for the application and to appear at court to represent you. Estimated costs for this application are likely to be in the region of £10,000 (plus VAT). I don’t have money. There is no access to justice for ordinary people against companies in this country. So the copyright thieves of Big Talk can now sue me. I would welcome any solidarity postings of the above image from other bloggers and media!